Conservatory of Music has raised $ 3,693 from 13 Gifts! Pacific's Conservatory of Music has been delivering an outstanding music education for more than 135 years. Degree programs are offered in vocal and instrumental performance, composition, jazz, education, management, therapy, and history. Passionate and dedicated faculty artists/scholars provide a rigorous and supportive learning environment. Students have access to a recording studio in addition to technology and composition labs and draw on the rich artistic and cultural diversity of Northern California. Please consider supporting one of the following areas during Pacific Gives 2018. You may also choose to give directly to any department. 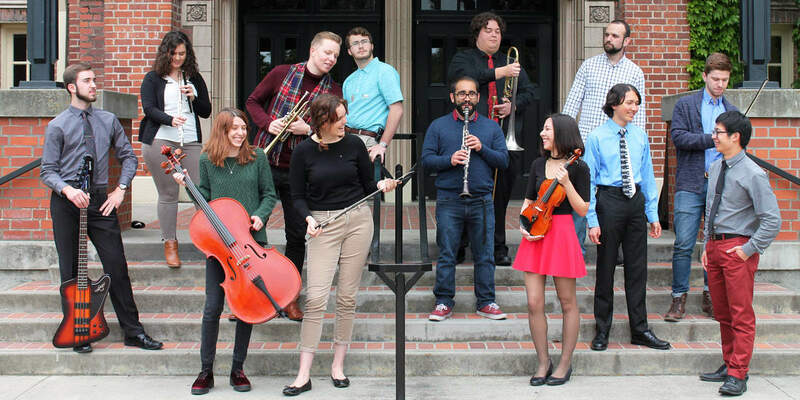 28/78 New Music Ensemble is a student-run chamber music ensemble at University of the Pacific in Stockton, Calif. The ensemble focuses on the performance of contemporary music works from a diverse array of composers. Gifts to 28/78 will help fund their groundbreaking festival coming to Pacific's Stockton campus in January of 2019. The Festival will feature performances from Grammy Award Winner Mads Tolling, Guggenheim Award Winner Yoshiaki Onishi, and Pacific conservatory students. Marian Jacobs Sunflower Presents Endowed Scholarship was established to support Music Majors who have agreed to volunteer time to perform in care facilities at least once per semester or twice annually. Michael James Rooke Hall Endowed Fund for Music is designed to support experiential activities that offer access to meaningful professional development experiences to further Conservatory student’s careers through opportunities such as helping students take advantage of professional and performance opportunities, bring to campus visiting artists and clinicians to work with our students and provide opportunities for our students to bring to completion projects and self-designed initiatives. The General Fund provides funding for the Conservatory's areas of greatest needs. This includes instruments, maintenance, equipment, travel expenses, and student support. Every dollar given to this scholarship will be matched by the Powell Match program. Each dollar given to this scholarship will be matched by the Powell Match Program. Each dollar given to this fund will be matched by the Powell Match program.